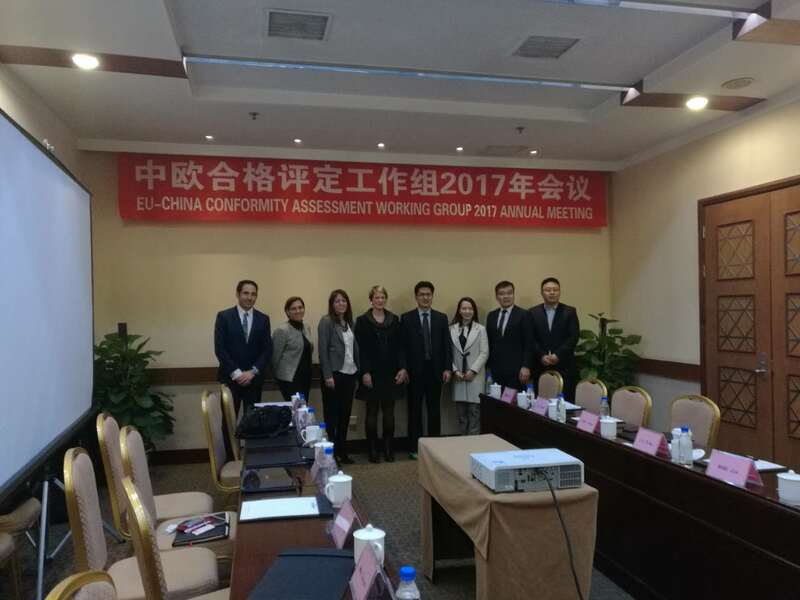 The annual meeting of the EU-China Conformity Assessment Working Group was held on 21 November in Beijing. Ms. Claudia Martinez Felix, Barbara Bonvissuto, Katja Modric Skrabalo, and Mr. Gordon Buhagiar from European Commission DG Grow met with Mr. Chen Haiyang and his fellow-officers from CNCA in the meeting, and had an in-depth communication on the latest developments concerning European and Chinese conformity assessment systems. The main contents of the meeting included China’s CCC reform, updates of EU’s new legislation framework, durability test requirements for cars in China, market surveillance in EU, China’s market surveillance reform and plan, and China’s energy efficiency labelling management system. Apart from the introduction of new situations, both parties also exchanged views on many specific topics, such as China’s factory inspection, integration of domestic and international certifications, establishment of oversea inspection bodies, test and certification for components, market access requirements for products with small batches, time requirements for implementation of new tests and certifications, latest development of EU energy efficiency labeling regulations, etc. The regular bilateral meeting mechanism facilitated both parties to keep abreast of new situations happening in EU and China markets, and will efficiently assist industries to adapt to new requirements. A number of new enquires were also put forward at the end of the meeting and will be addressed in the follow-up communications.